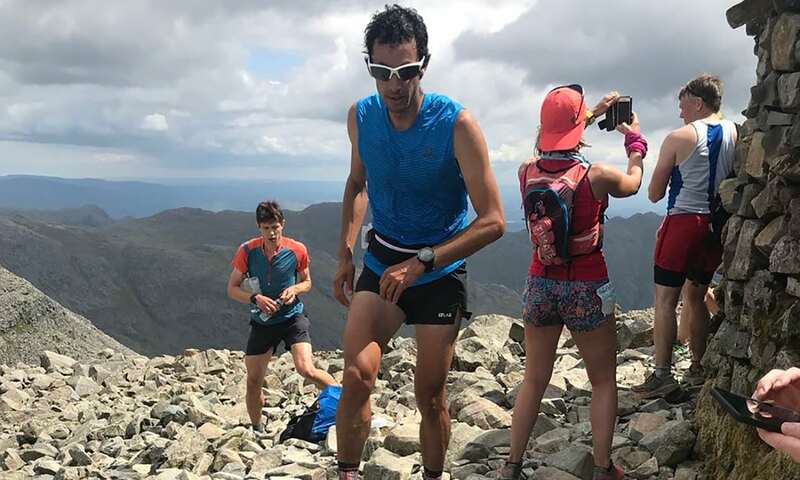 Trail running superstar Kilian Jornet yesterday took over an hour off Billy Bland’s record from 1982 for the 66-mile and 42-peak Lake District, England circuit. 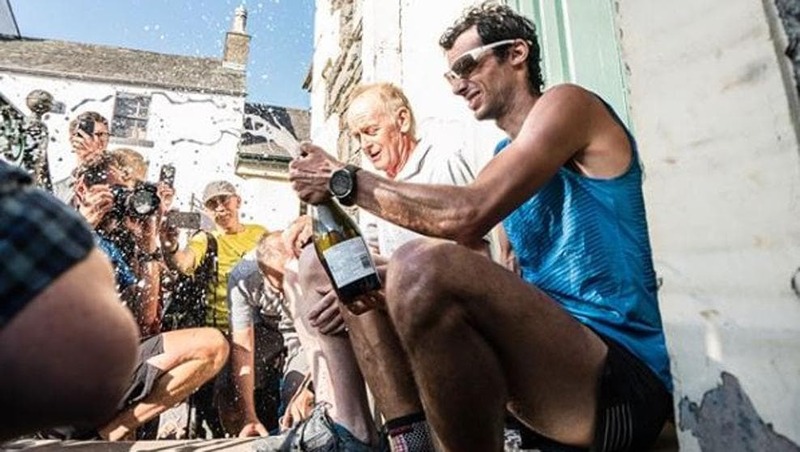 Kilian conquered the 66-mile and 42-peak Bob Graham Round in 12 hours and 52 minutes. The Lake District circuit, which features 27,000-feet of climbing, starts and ends at Keswick’s Moot Hall and Bland, who ran 13:53 36 years ago, was among those to welcome the Catalan trail running star at the finish on Sunday. “Thanks Billy, I had better conditions than you, the best pacers and your inspiration to give everything! And even like that it was sooo sooo hard!! !” Jornet wrote on Instagram. Jornet’s planned attempt on the record had been kept under wraps, but rumors among the fell- and ultrarunning community circulated through the week that the champion skyrunner would be taking to the Cumbrian hills this weekend. What makes Jornet’s achievement in very warm conditions all the more impressive is that the 30-year-old broke his fibula in March and had marked his comeback by winning last weekend’s Marathon du Mont-Blanc in 3:54:54. The challenge is named after Keswick guest-house owner Bob Graham who first completed the circuit in 1932. The traditional challenge starts and ends at the Moot Hall in the center of Cumbrian market-town Keswick and runners are expected to complete the course in 24 hours. Only around 2,100 people have completed the round in 24-hours since its inception, with many others underestimating how difficult it is and either not finishing, or not finishing in the requisite 24-hours. Jasmin Paris took the women’s record for the Bob Graham Round in 2016 with her time of 15hrs 24mins. Nicky Spinks completed a double round the same year in a time of 45hrs 30mins. Click here for 18% off! Click here for 46% off! Click here for 38% off! Click here for 9% off!